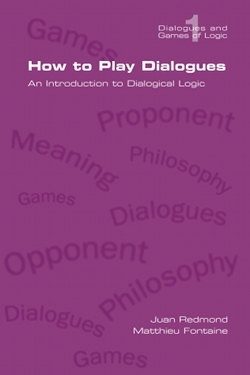 "How to Play Dialogues" constitutes the first introduction to Dialogical Logic aimed at the practice of dialogic containing precise comments on solutions to exercises in first-order classical, intuitionistic and elements of propositional modal logic. It is the first part of the work "The Dialogues of Logic", conceived in two separate autonomous texts on dialogical logic. The two texts should provide together a comprehensive technical and philosophical overview of the dialogical approach to logic.